Diego was born and raised in Southern Brazil, moved to the United States at age 25, and is now a proud American citizen. Growing up, he competed in martial arts and has always been an avid surfer. Because of his active lifestyle, he’s also suffered injuries and surgeries, forcing him to recover, rehabilitate and regain his physical strength. Personal experience and results triggered his inspiration to help others. 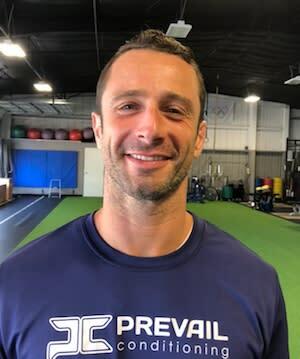 Whether circumstance has got you down and you need to get back out there, or you desire to tap into unmet athletic potential, Diego wants to help you move forward and be your best. His favorite training tools are kettlebells.